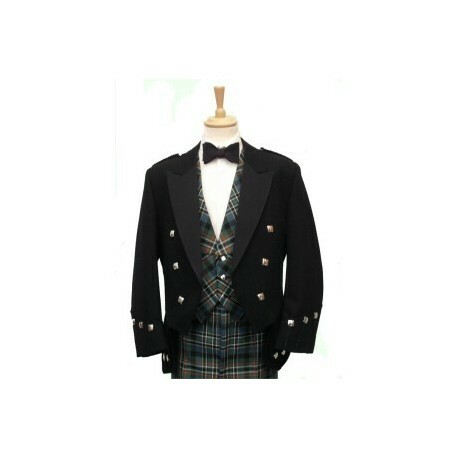 The Regulation Kilt Doublet is a very attractive doublet suitable for formal evening events - especially with the silver button option shown here.It is made from Velvet or Barathea Wool with satin lapels. It comes with braided epaulettes, as in the Prince Charlie. However, unlike the Prince Charlie it has braided "Tashes" (otherwise known as Inverness skirts/flaps) at the front and back which give it that extra touch of elegance.The Regulation Doublet is so-called because at one time it was the Regulation Uniform Jacket of the Highland Regiments. 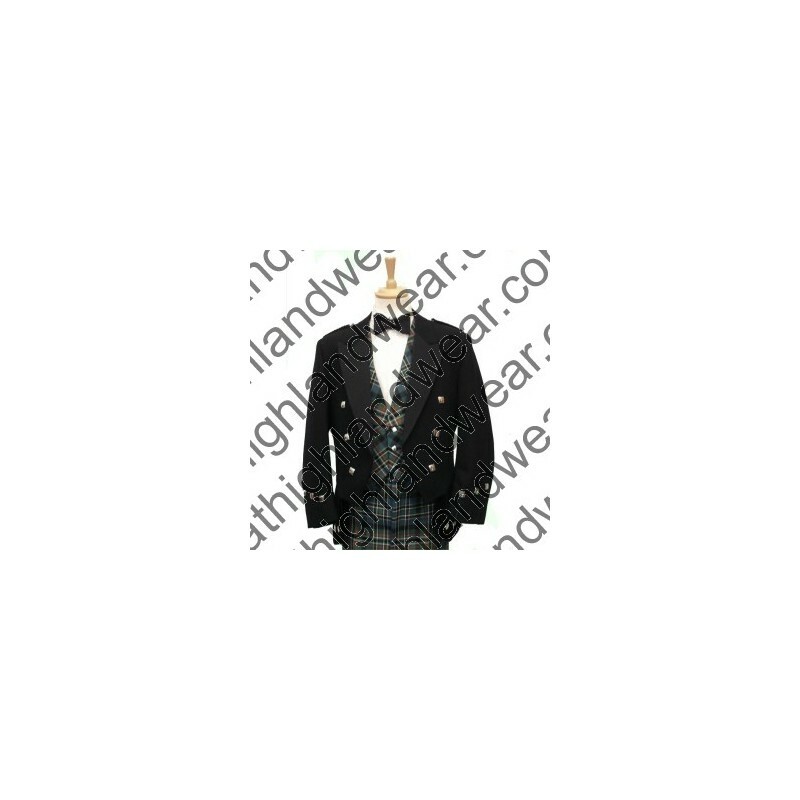 It pre-dates the Prince Charlie and to many people's mind is infinitely nicer.The Regulation Doublet is always worn with a 3 button waistcoat which can be made from the same cloth as the jacket or, if we are making your kilt, a tartan waistcoat cut on the bias.